Affordable year-round Christian boarding school for boys ages 13-18 who are struggling with trauma, negative peers or minor substance abuse which have led to school expulsion or other trouble at home. – alternative schools for troubled youth and teen counseling services. boarding schools for at-risk boys. Most boys who have been getting into trouble have a need to improve their academic standing or retake courses. JLA offers a first-class, agressive academic program for boys who have fallen behind in school. The year-round boarding school allows young men to make up credits and to also push ahead. The on-campus accredited program and curriculum is monitored by the local school district. Students at Jubilee Leadership Academy can participate in soccer, basketball and baseball. Sports are available to those students that have worked hard in the program and have earned the opportunity by being academically in good-standing. On campus, we have basketball, golf driving range, skateboard park, high and low ropes course elements and many other physical activities. Students also enjoy agricultural activities including horsemanship, irrigation and pasture management, ranch maintenance and animal husbandry. These activities offer time for our staff to bond with and mentor the boys in an informal and fun setting. A variety of sporting activities encourage healthy living, commitment to others and teamwork. Educational opportunities here include credit repair and retrieval for students that are behind. Our caring team helps boys deal with past issues and move toward a stronger future. Jubilee Leadership Academy is a Christian boarding school for troubled boys age 13-18, located in Prescott, Washington. We help the boys get on track and then teach them to become leaders, not followers. Boys come here from all over America. We are lower in cost, yet we have an awesome Trauma-Informed team and a gorgeous 400-acre campus surrounded by apple orchards in Southeastern Washington State. With two dormitories, cafeteria, school, administrative building, staff housing, football field, basketball court and much more, this is a campus designed specifically for helping struggling teens. Our staff-to-student ratio is more than 1:1. Call Best Choice Network at 888-218-2125 to learn about other similar programs for at-risk boys. We can also help you in your search for other therapeutic boarding schools, boarding schools for teens, therapeutic boarding schools for boys, reform schools, Christian boarding schools, or therapeutic schools. Jubilee is a Christian boarding school for boys that helps rebellious boys who are at risk and defiant or out of control. Designed for troubled teenage boys Jubilee helps boys with ADHD, ODD – Oppositional Defiant Disorder, Attention Deficit Disorder (ADD), Reactive Attachment Disorder (RAD) and boys who are suffering from depression. If you are a parent with a troubled teenage boy and are looking at alternative schools, boot camps, troubled teen programs, military schools, therapeutic programs, wilderness programs, or therapeutic boarding schools for teens, call us to see how affordable Jubilee is. While this program is not a military school, military schools are often a parent’s first thought when their boy is in trouble. 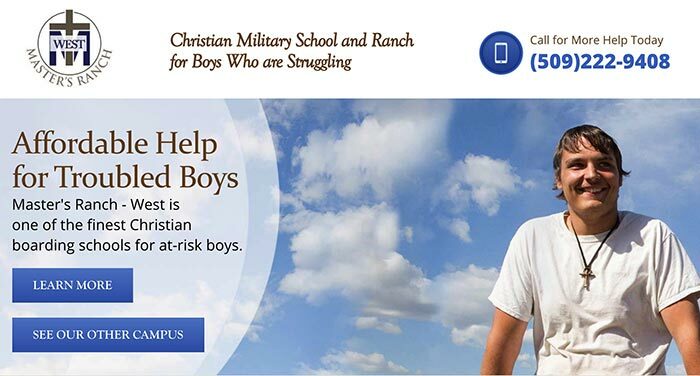 Affordable year-round Christian boarding school for boys ages 13-18 who are struggling with trauma, negative peers or minor substance abuse which have led to school expulsion or other trouble at home.